What better way to end the work week than by walking straight into a long weekend. Grab a late dinner at Amakara in Dublin. Their sushi is fresh and filling, but nothing warms you up like a bowl of the Chasu Ramen—their incomparable broth soothes from the inside out. Alternatively, try Urban Plates in Dublin for a quick dinner that doesn’t lack in taste or quality. Their Grilled Grass Fed Steak and Sustainable Oven Baked Salmon are fan favorites, rarely straying far from perfection. Known for their “sustainable sandwiches”, Homegrown is a mindful and healthful breakfast option located in Danville. They don’t make food sourcing decisions lightly, ensuring their stakeholders (people, animals, and the land) are always happy. Their breakfast sandwiches are served all-day. You can choose Bacon, Avocado, or Ham, Egg, and Cheese. They also proudly serve Sightglass Coffee—a bay area specialty. If you’re not in the mood for a sandwich, hit up Blossom Bee Creperie for breakfast in Dublin. These crepes are made with a spicy Thai twist. You’ll find menu items like Thai Basil Chicken Crepes and Spicy Red Curry Crepes. Delish! The Tri-Valley is a great place to go golfing. If you’re more experienced, head to Callippe Preserve Golf Course in Pleasanton. As you get to the back side of the course it gets more difficult, but locals claim it’s worth it. The par 5 number 18 is infamous! If you’re interested in a good nine-hole course, you’ll love the Pleasanton Golf Center, ideal for the short gamers. 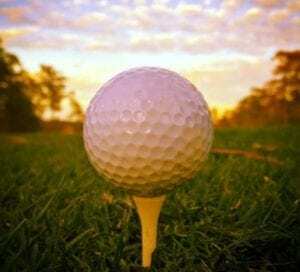 We know golf isn’t for everyone; luckily, there are many other outdoor activities to choose from. Pleasanton Ridge Regional Park has many pleasant trails to follow, spanning over 5,000 acres; some even lead to deep-canyon streams. In addition to lovely hiking spots, Alviso Adobe is another hidden treasure of the Tri-Valley. This community park shares the fascinating history of the Amador Valley, showing visitors what life was like for Native Americans, Spanish Ranchos, and more, leading up to present day. Being out in sun for most the day can make you thirsty. 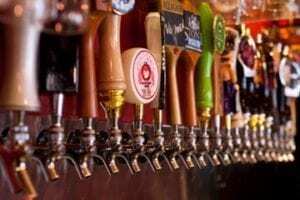 Hop on the Tri-Valley beer trail and rehydrate with some of the tastiest suds you’ll ever enjoy! We offer a passport on our website to 20 different local breweries and pubs. You can look forward to a free t-shirt for getting stamped from at least 10 stops on the list. Some of the places you’ll find on the trail are McKay’s Taphouse & Beer Garden, Handles Gastropub, and the Hop Yard Alehouse in Pleasanton. Aside from their extensive tap lists, all three locations offer tasty food options for snacking along the way, or eating a full dinner at your final stop. The promise of Story Coffee is a great way to get you out of bed. Head to their pop up bar at Bankhead Theater in Livermore and order an iced latte or cold brew coffee to go. You’ll be in caffeine heaven all morning long! Spend the rest of the day drinking in Tri-Valley’s historic wine country. 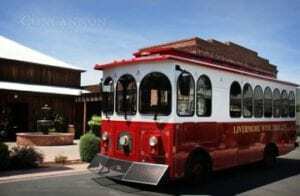 The Livermore Wine Trolley is a great way to experience the region and will take you on a stunning scenic journey through three different wineries—tastings and lunch included! 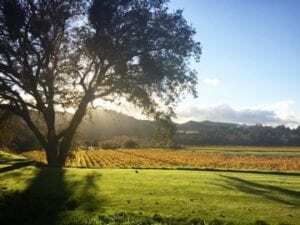 If you decide to go wine tasting on your own, there are many Livermore wineries to visit. Wente and Concannon vineyards play prominent roles in California’s wine history, dating all the way back to the late 1880s. You can sip their fine wines and learn about what it’s like to be two of the oldest wineries in the country. Retzlaff Vineyards & Estate Winery has a lovely gazebo that looks out over their stunning grapes—they even welcome you to bring your dog along too! Page Mill Winery is another favorite. They started out at the base of the Santa Cruz Mountains back in the 70s and have since relocated here, just minutes from downtown Livermore. If you plan ahead, you can pack lunches for your personal wine tour from the Whole Foods in Dublin the night before. They have a special offer on Friday nights that you won’t be able to resist: “5 after 5 Wine Tasting Friday.” For just $5.00, you can shop and sip wine, stopping at 5 different stations with complementary food pairings throughout the store. They even provide you with a wine glass and will give you a discount if you reuse it again later. And don’t worry, their carts have built-in holders so you won’t spill! Come evening, Sanctuary Ultra Lounge in Livermore is a wonderful place to finish the day. 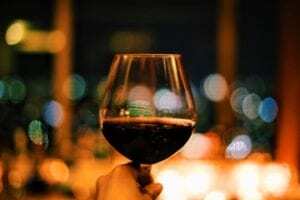 For dinner, you can continue to try local wines and spirits while snacking on appetizers like Coconut Shrimp and Angus Sliders before moving on to their Chicken Pesto Penne or French Cut Bone in Pork Chop. If you couldn’t tell, coffee is another bragging right here in the Tri-Valley. The Coffee Shop in Danville lives up to our high expectations. They only partner with the best, like Four Barrel and Anchorhead, to deliver a quality we can count on. They recently created a new drink, the Maple Bourbon Latte, for those of us who need an extra kick on a Sunday. The Little Pear in Blackhawk Plaza in Danville is a more filling breakfast favorite. We love their Lumberjack Stack—Sunny Side Eggs on top of two Bacon-filled Pancakes. For some, no long weekend is complete without a shopping trip, and Dublin is home to great shopping spots like Hacienda Crossings, Dublin Place, and Persimmon Place. Located around the Regal Cinemas and IMAX building, Hacienda Crossings has great stores like Old Navy, Barns & Noble, and T.J. Maxx. At Dublin Place, you can find Burlington Coat Factory and Target. Nordstrom Rack and Home Goods are next door to the big Whole Foods at Persimmon Place. Before you know it, you’ll have your arms full of shopping bags with goodies from your trip to remind you of your stay. The Dublin Heritage Park & Museums is another great way to spend the day. This 10-acre park is free to the public, with historic museums and buildings, such as the 1856 Murray Schoolhouse and Kolb House, both offering interesting perspectives into Dublin’s rich history. You’ll even notice an old cemetery on the grounds; walking among the old plots and reading the headstones is a little like traveling back in time. Stop by Lazy Dog Restaurant in Dublin for a late lunch on your way out. Chris, the owner, always aimed to create a restaurant that would remind him of his childhood vacations in Jackson Hole, Wyoming. Inside you’ll feel like you’re in his old lodge—warm, cozy, and at home. Their Fried Chicken and the Grilled 5 Cheese will always hit the spot. The kid in everyone will love dessert with offerings like Simms Family S’more and White Chocolate Chip Brownie to choose from. You’ll end your weekend get-away satisfied and ready your Monday.